Early childhood is a critical time for the brain development of your toddler. That can be an intimidating thing, especially if you’re unsure of how to nurture them during these growing years. It’s important for children to have a creative outlet in their life with which they’re free to express their feelings and learn about themselves. In fact, many educators argue that the arts are just as important as vocabulary and literacy, given the benefits of music and movement for early childhood development. Music can help stimulate your child’s brain in different ways, dance can help develop fine motor skills, and drama teaches emotions and problem-solving. You can see this reflected in the toys on the market today and the huge influx of arts programs available for young children. The benefits of dance in term of child development are immeasurable, and it’s an awesome idea to enrol your toddler in some type of dance program to get them off to a good start. If you’re curious about the relationship between dancing and the brain and how dancing can aid in early childhood brain development, just keep on reading. How Does Dancing Affect the Brain? Dancing and other types of physical exercise can help ward off brain diseases in people of all ages. A 2013 study published in the New England Journal of Medicine found that freestyle dance, which required rapid decision-making, is integral to keeping your brain in tip-top shape—it forces the brain to regularly use its neural pathways, especially in regions that control our mental skills, long-term memory, and spatial recognition. Participating in dance can help make your children smarter and keep their bodies in good shape; they’ll be able to reap all the benefits of regular exercise without the struggle of consciously exercising. Neuroplasticity refers to the ability of the brain to form and reorganize synaptic connections, especially in response to learning. Dancing will cause the brain to reroute its neural pathways, increasing neuroplasticity. As dancing improves participants’ muscle memory, it can help them memorize how to do things efficiently without conscious effort. Neuroscientist Daniel Glaser says that this happens because “the movements become thoroughly mapped out in the brain, creating a shorthand between thinking and doing.” While muscle memory can’t differentiate a right move from a wrong one, research suggests that performing the right move will cause the brain to release endorphins—this process constantly requires use of the brain’s neural pathways. This is one of the many mental health benefits of dance: the better your child’s neuroplasticity is, the easier it’ll be for them to lean, understand, and remember concepts they learn later in life. Learning routines and memorizing moves is a good mental exercise for your child. It’ll encourage them to use their mental strength without necessarily realizing it. Many kids find dancing to be a good hobby, so it won’t necessarily feel like homework when they’re faced with the task of memorizing a routine. Using these memory skills from a young age will make it easier for them to retain information in the future, which is another reason dance is important in education. The acts of imitation, repetition, coordination, and exploration of movement to the rhythm of the music will promote memory training and coordination, even in the very early stages of infancy and childhood. The cerebrum is the “thinking” part of your brain that controls voluntary movement. The movement from thinking about dance moves to actually performing the dance moves will shift brain activity from the cerebrum, to your cerebellum; the part of your brain that controls your equilibrium, balance, and coordination. Referring back to muscle memory, whenever we hear music and immediately start dancing without thinking, our cerebellums are accessed, which is another reason why we’re able to perform dance moves flawlessly without thinking about them. The use of the cerebellum is another example of how dancing can help your child’s brain development in their early years. Fostering your child’s creativity during the early stages of their childhood is extremely important to the development of their cognitive abilities. Dancing, and other forms of art, can be used as tools of expressions and exploration for your child. They can use their creativity to think through misunderstanding, and communicate understanding effectively, even though they may not know how to use their words. Dancing can empower your toddler, and increase the sense of self-esteem, by letting them assert their individuality. 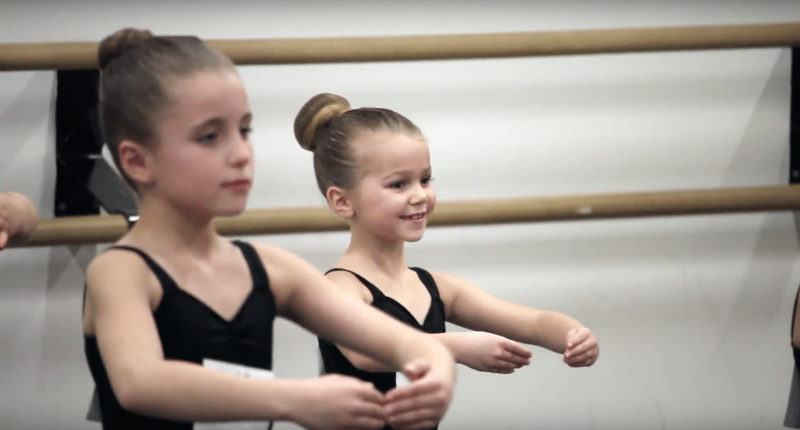 In addition, observing your child’s creativity through dance can give you a unique insight into how they think and how they perceive the world—something that would otherwise be unbeknownst to you. Overall, dancing is a great way to help develop your child’s brain and ignite the spark of creativity within your child. Set your child up for success and enrol them in a dance program today! Performing Dance Arts offers a wide array of programs, so you can be sure your child will find something they`re interested in. From jazz, tap, hip hop, ballet, and even acro, there are a variety of styles to choose from. If your little one is interested in dance as a competitive sport, we have a number to of competitive teams they can join. However, if your little dancer isn’t the competitive type, we have causal programs where they can dance to their heart’s desire! If you are looking for a dance studio in or around the Nobleton area, check out our facilities or contact us today for more information.